An ALIAS record is a virtual record type that we created to provide CNAME-like behavior on apex domains. 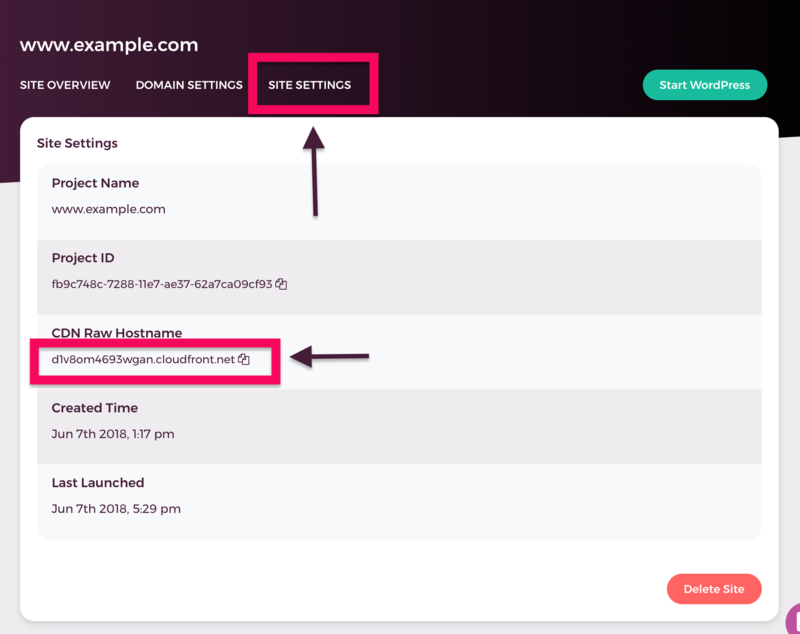 For example, if your domain is example.com and you want it to point to a host name like myapp.herokuapp.com , then you cannot use a CNAME record, but you can use an ALIAS record. ---- What is an ALIAS record? Some DNS Provider supports ALIAS record. Here is a list on our document for it. If you had registered APEX domain -- or root domain/naked domain -- (a domain without www, blog or other prefix) for Shifter, you can also input or select the value of CDN raw Hostname (e.g. d2j25tdvm5ygpb.cloudfront.net ) which is provided on Shifter's Dashboard. This help describes two samples of setting up ALIAS record on MuuMuu Domain and Route 53 of AWS. CDN raw Hostname is provided in Settings page of your site. Before accessing DNS Provider, copy the value of CDN raw Hostname ( in this case it is d2j25tdvm5ygpb.cloudfront.net), and paste into notepad, evernote or your favourite stickies. Please ask support desk of your DNS Provider: "do your DNS server supports ALIAS record? If support it, how to use it?"